At Slippery Slope Roofing, we are confident that you will be more than satisfied turning all of your roofing needs over to us. Give us a call today. We provide residential and commercial shingle roofing for homeowners and business owners in Barrie and surrounding area, from the Greater Toronto Area to Huntsville. We make sure that your commercial roofing project in Barrie, ON gets completed as quickly as possible by only working on one job at a time. Turn to us at Slippery Slope Roofing for high-quality residential and commercial shingle roofing services that you can depend on. Whether you need roof repair or replacement after a bad storm causes damage or roof installation on a brand new home, our professional roofers can help. If you need the roof on your home or business repaired or replaced, the only place you need to turn to is to us at Slippery Slope Roofing. We serve Barrie and surrounding area, from the Greater Toronto Area to Huntsville, and are known for our affordable prices and commitment to performing quality work. 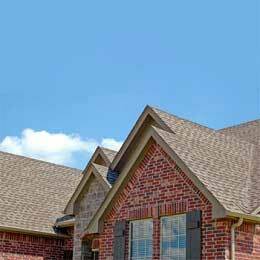 Whether a huge storm ruined the roof on your home or your roof could use a few new shingles, we can help you out. We take pride in the fact that no job is too large or small for us to handle and will take care of your entire roof replacement or repair job with excellence from start to finish. With more than 50 years of combined experience in the roofing industry, we are confident that you will benefit from allowing us handle all of your roofing needs. Sorry, we do not do metal roofs or flat roofing. 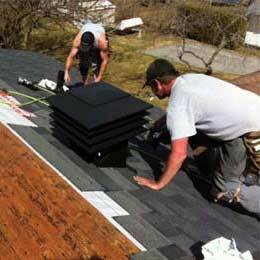 One of the main things that sets us apart from other roofing companies is the fact that we only do one job at a time. This allows us to make sure that each job is done properly and that we do not run into delays along the way. We pride ourselves on completing work correctly the first time and doing it in a timely and efficient manner. The next time you have a roofing job that needs to get done, don’t put it into the hands of just anyone. 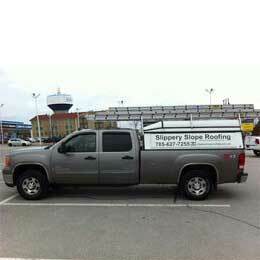 Instead, give us a call at Slippery Slope Roofing. We’re sure that you will be more than satisfied with the quality of our workmanship and your overall experience working with us.